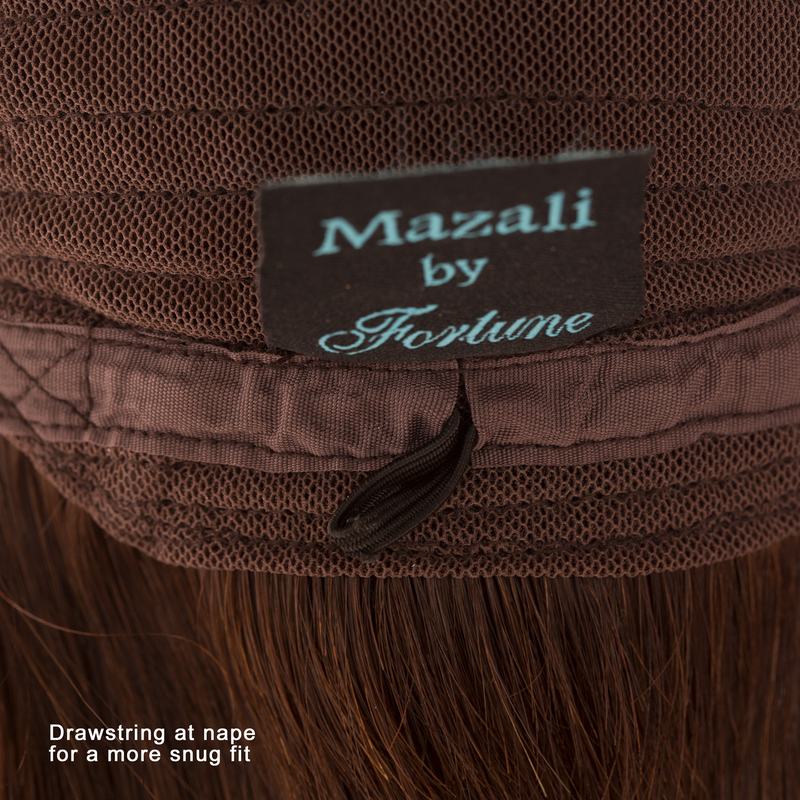 Human Hair Extensions Long Clip In 3 Piece Set #6 Straight Hair Texture 22"
Comfort Designed Hair Grip Headband By Fortune® Used in place of clips inside wig cap. ◣Fully adjustable stretch material for maximum comfort. 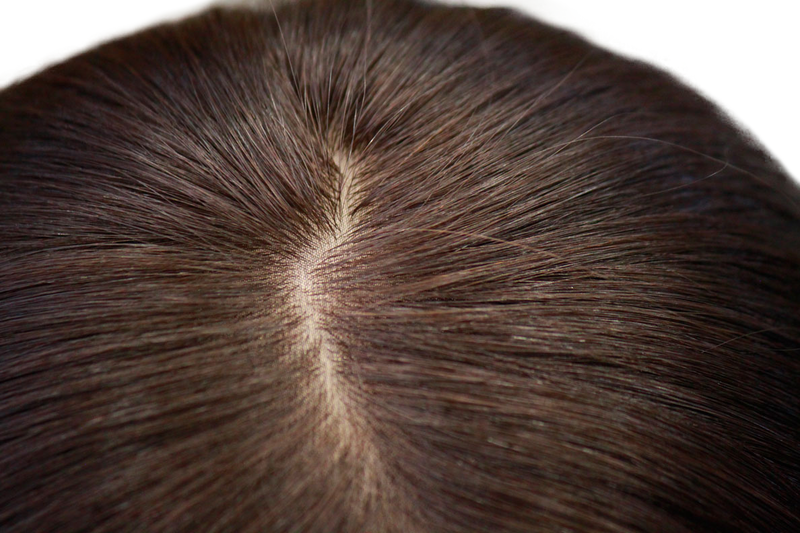 A topper is a partial coverage piece designed for those who are experiencing hair loss but don't require the full coverage provided by a wig. 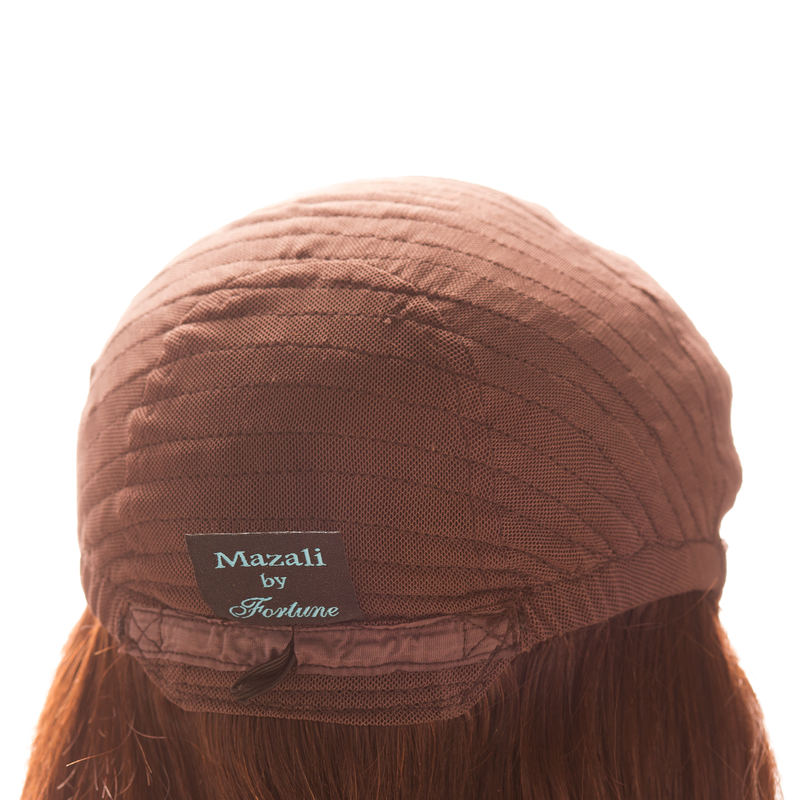 Our Kippah Topper is defined by our signature French Top. 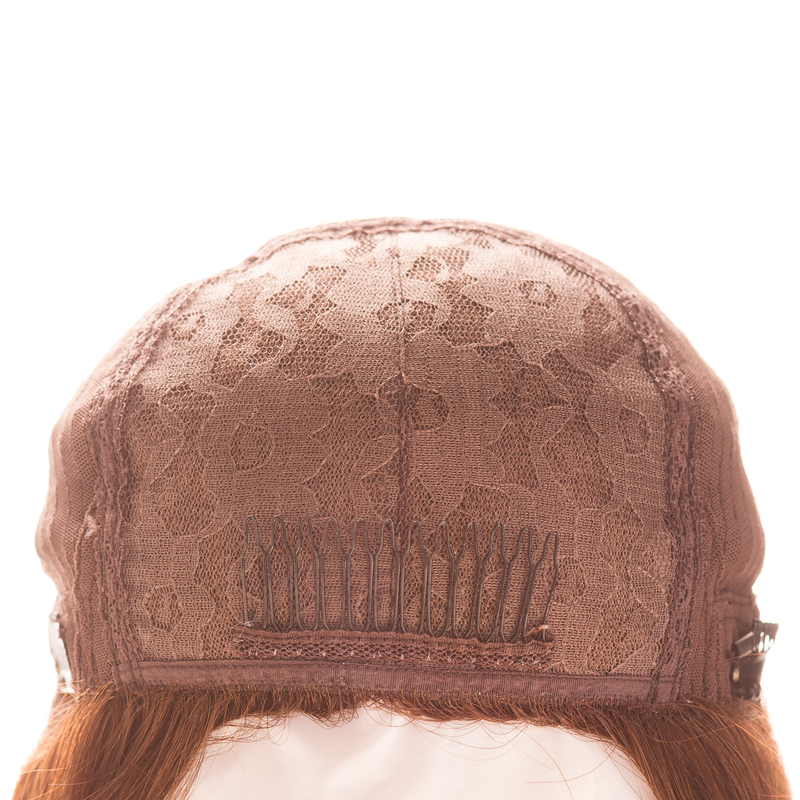 It is held in place with several clips strategically placed around the inside of the cap. 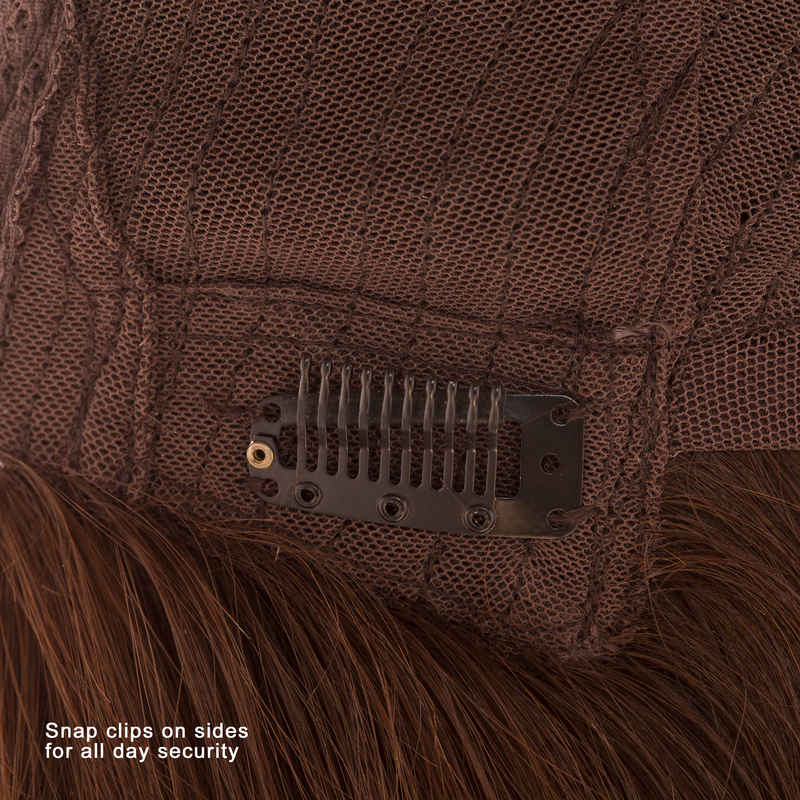 An additional option is to have poly tape along the hairline and to tape the front end directly to the scalp instead of a clip. 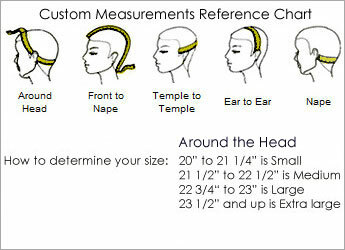 ◣Overall length will be 1-2 inches longer than stated length. 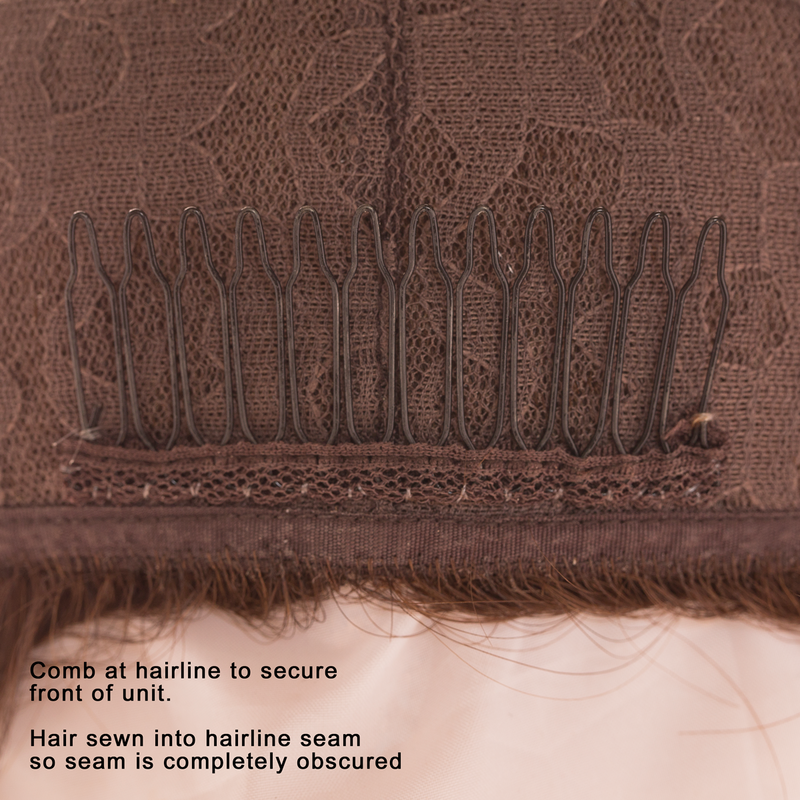 ◣Poly tape or clip at hairline: Some find it more comfortable to use the poly tape at the hairline while others prefer clips. ◣Texture: Choose straight texture or wavy texture hair. Our straight texture hair can hold a curl or a wave and our wavy hair can be blown or ironed straight. Further customization is available upon request including custom color matching. If you will be ordering your topper with a custom color match please choose the "custom color match" option from the color drop-down selection and mail a color swatch to Fortune Wigs Inc Internet Department 1838 Coney Island ave Brooklyn NY 11230. Include your contact information as well as your order number. Discreet Shipping As always we ship discreetly. Nowhere on the box or label is there any indication of what is inside so you can rest assured that your privacy and discretion is very important to us. Return Policy & Warranty Every Custom Topper purchase is fully covered under and 10 Day Money Back guarantee and 1 year warranty.